Ain Shams University has seven campuses all over Cairo. Four are located in Alabassya (the main campus, the secondary campus), Ain Shams Hospital and Faculty of Medicine, Faculty of Engineering, two in Heliopolis (Women’s College and Faculty of Education, and one in Shubra Elkheima (Faculty of Agriculture). The University administration, Faculty of Arts, Faculty of Law, Faculty of Science, and Faculty of Computer and Information Science are all in the main campus in Khalifa El-Ma’mun Street in Albassaya. Faculty of Commerce, Faculty of Alsun(languages), Faculty of Pharmacy, Faculty of Dentistry, Institute of Childhood, Institute of Environment, and Ain Shams Hospital are located in the secondary campus opposite to the main campus. The Faculty of Medicine and the Faculty of Nursing are located on the third campus in Abbasiyah. The Faculty of Engineering, the Faculty of Specific Education, the Faculty of Education, the Faculty of Girls and the Faculty of Agriculture are located on a campus in Abbasiya, Heliopolis, Shubra El-Kheima, respectively. 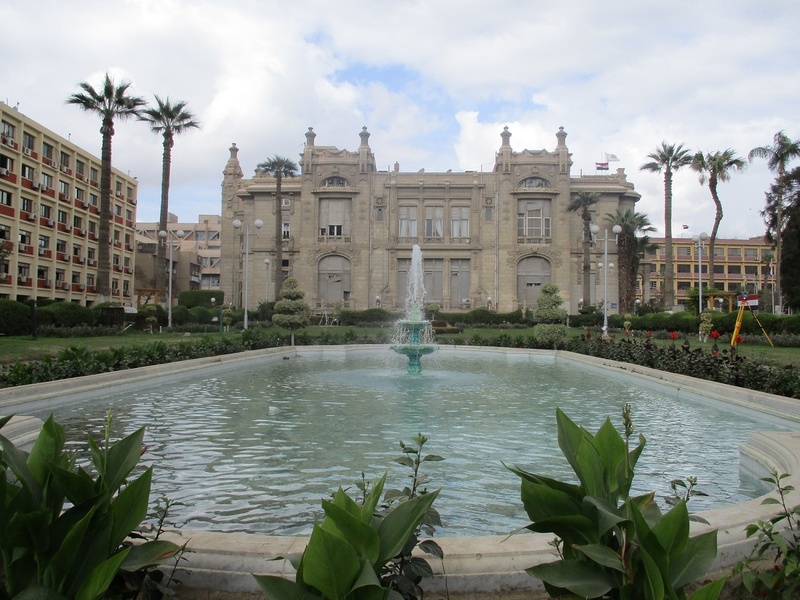 The students’ City exists beside the main campus in Alabassya for male students and for female students, it was located beside Faculty of Girls in Heliopolis for . Moreover, the university rents other places to accommodate for increasing number of students. The accommodation has the capacity for 4000 students. Each student pays 10 dollars monthly for residence, food and full nutrition, including three meals a day, along with the provision of recreational services and various activities contribute to the preparation of a generation capable of taking responsibility.